When we realize that innovation is an opportunity to deliver customer-centric solutions, we develop a growth mindset that’s vital for success. Frameworks, such as design thinking, help us uncover hidden opportunities with new and cutting-edge products, as well as back offices where roles and functions tend to be tedious and mundane. We spoke about two of my favorite topics: Driving innovation in the enterprise and applying design thinking as an enabler of forward-thinking ideas to spur growth and profitability. Kaan Turnali: The core tenet of your book is based on this one question: “How can established companies create new growth strategies and businesses from within their organizations?” You discuss how old-school strategies may fall short and lack the dexterity necessary for achieving the outcomes we seek. Based on your research, what is strategic innovation? Parker Lee: My coauthors, strategies innovation expert Marc Sniukas and award-winning visual thinker Matt Morasky, and I believe that strategic innovation shifts the objective away from simply being cheaper or different to finding and seizing opportunities by creating value. 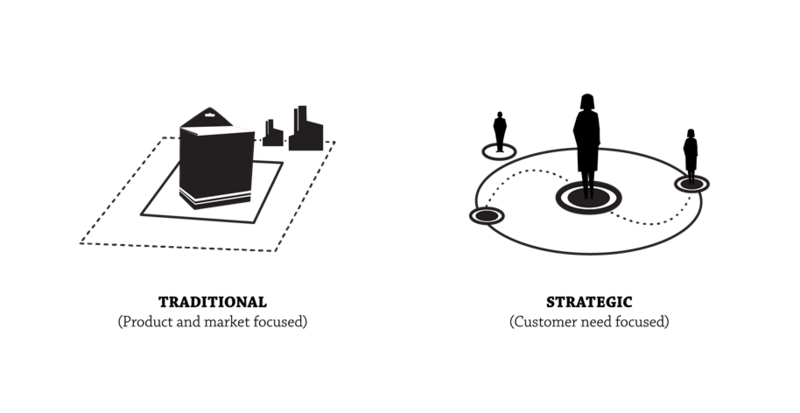 Traditional strategy is typically focused on the company. They try to position themselves as a cost leader, become different, focus on a niche, or something similar. But, being cheaper or different alone is simply no longer enough to be successful – if it ever was in the first place. Strategic innovation takes an entrepreneurial stance that looks beyond positioning the company to gain a larger, holistic perspective that involves creating value for your customer, your firm, and your business ecosystem. Only by creating value for a multitude of stakeholders does your company have the potential to be successful. And creating value requires more than just offering a cheap or different product. Products, services, the entire customer experience (CX), the business model, and even the revenue model are just as important. Kaan Turnali: I am convinced that competing on design thinking requires a fundamental shift in how we approach design to solve business problems and, more important, how we channel the essential values of design thinking in everything we do. 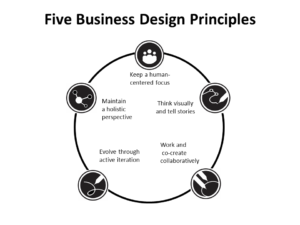 In the book, you describe a connection between strategic innovation and design thinking when achieving success more effectively and efficiently. Can you expand on this? Parker Lee: Strategic innovation sits on the foundation of a new way of working that employs business design thinking. It is a way of working based on the idea of identifying and articulating clear goals that are achieved by focusing on audience needs, including those of the customer, user, and stakeholder. Delivering on these goals involves engaging multidisciplinary teams that understand visual-thinking methodologies to explore and formulate a strategy. During the process, continuous iteration – or learning by doing – enables the team to test ideas and quickly make adjustments along the way to building the solution. This approach opens new channels to creativity, actively engages participants and stakeholders, brings clarity and consensus, and accelerates speed to market. Kaan Turnali: Design thinking is about having a human-centered focus. As you write, it’s about “putting people, not objects, at the heart of your story.” At its core lies the empathy principle. But, I often see that the creation of the value chain through empathy stops at the front lines, so to speak. We both argue that it needs to involve all stakeholders including employees, shareholders, suppliers, and vendors all the way to the back office. Parker Lee: So true! 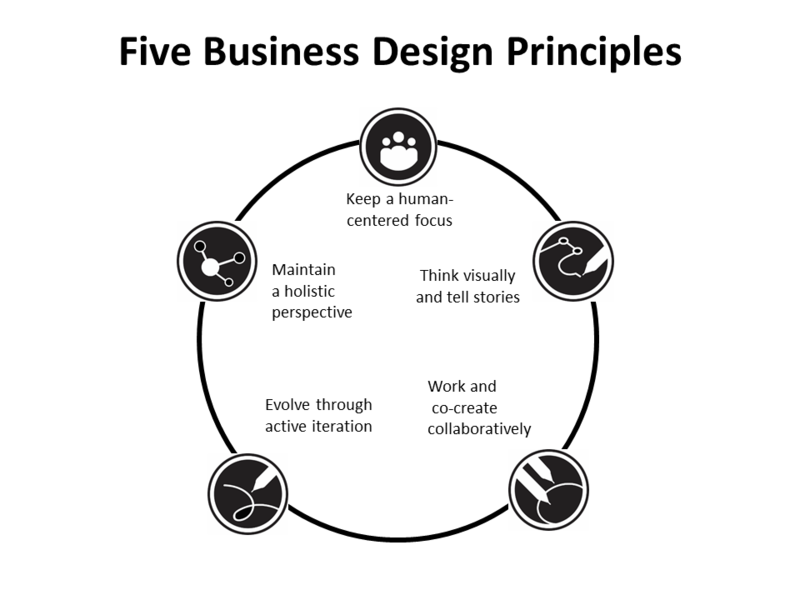 To effectively implement business design thinking, the mindset of individuals and the firm’s culture need to evolve. Many firms struggle with change and innovation for any number of reasons. Some have a culture that is more accustomed to maintaining strict adherence to processes. Others may have rigid silos for organizational functions and operational formality. And there are firms that adhere to strict rules for communication and interaction with customers and stakeholders that may alienate employees. In these instances, creating a business design thinking way of working is very difficult. Kaan Turnali: So what are the major differences between this new way of working you suggest and today’s standard way of operating? Keep a human-centered focus: Create value by applying an empathetic approach. Observe, engage, and immerse yourself in the behavior, needs, and mindset of your users. Think visually and tell stories: Accelerate decision-making and engage with your users’ emotional intelligence through storytelling. Work and co-create collaboratively: Collaborate and co-create among multidisciplinary groups to build alignment and support. Evolve through active iteration: Gather plans faster and adapt ideas by establishing a reflective and productive learning process. 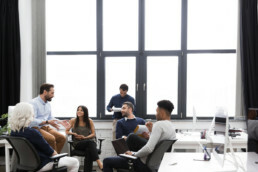 Maintain a holistic perspective: Approach the organization as a dynamic, open system of interrelated processes to discover connections and interdependencies between stakeholders, processes, and deliverables. Kaan Turnali: Innovation doesn’t have any limits when it’s founded on passion and human ingenuity. We cultivate it with an entrepreneurial spirit that binds leadership and talent in authentic values. Our pursuit to chase excellence, no matter what, becomes the ultimate driver for growth and profitability. All opinions expressed in this article are those of the interviewee.